Tax Facts is TFI’s primary research publication, where we take a deeper dive into an area of tax or fiscal policy. 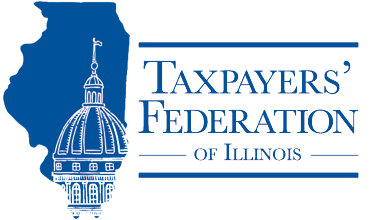 Tax Facts is issued monthly and explores leading fiscal and tax policy issues currently of interest to the public, General Assembly, the executive branch or the state’s local governments. The publication attempts to add context to the debate and a better understanding of the policy options under consideration. On Further Examination: A closer look at some commonly cited (but perhaps not thoroughly vetted) tax “truisms”. Effective Property Tax Rates in 89 Illinois Communities by Mike Klemens. Retroactivity in State Tax Legislation by Mary Kay Martire. 2017 Year in Review, by Maurice Scholten. A Fresh Look at Illinois Property Taxes by Mike Klemens. Illinois Taxation of Retail Sales: A Primer and Some Problems, by Dr. Natalie Davila.